M-Pack Lures is committed to bringing high quality baits with innovative designs to the market. Founder Mark Pack, an Elite Series and FLW Tour pro has been designing baits for over 25 years. His creativity is born out of the mind of a fisherman and a passion for the sport at all levels. 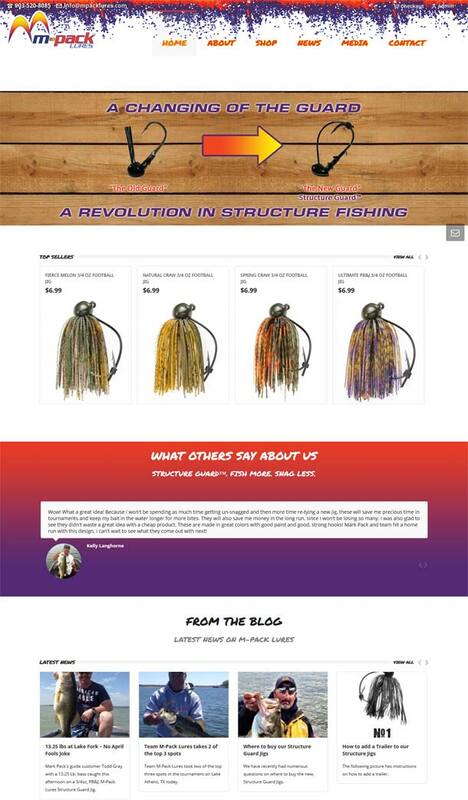 M-Pack Lures has recently introduced a new line of Structure Guard™ lures. A revolution in open hook baits is underway.